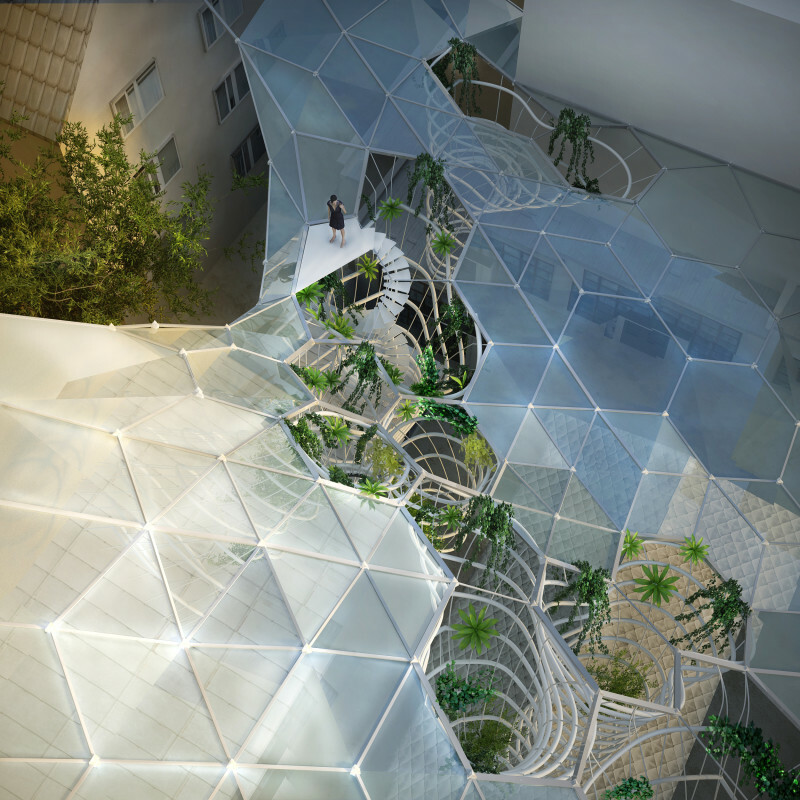 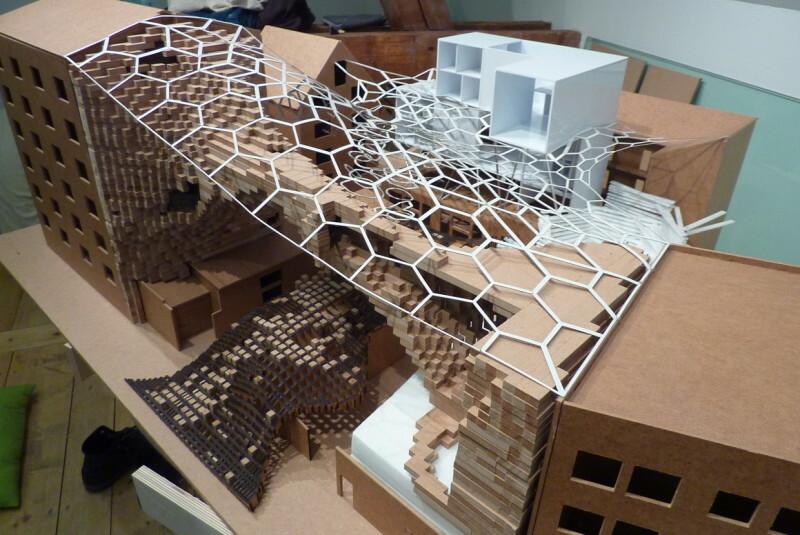 Mesh garden spreads above complex of buildings which serve like studios for students of painting. 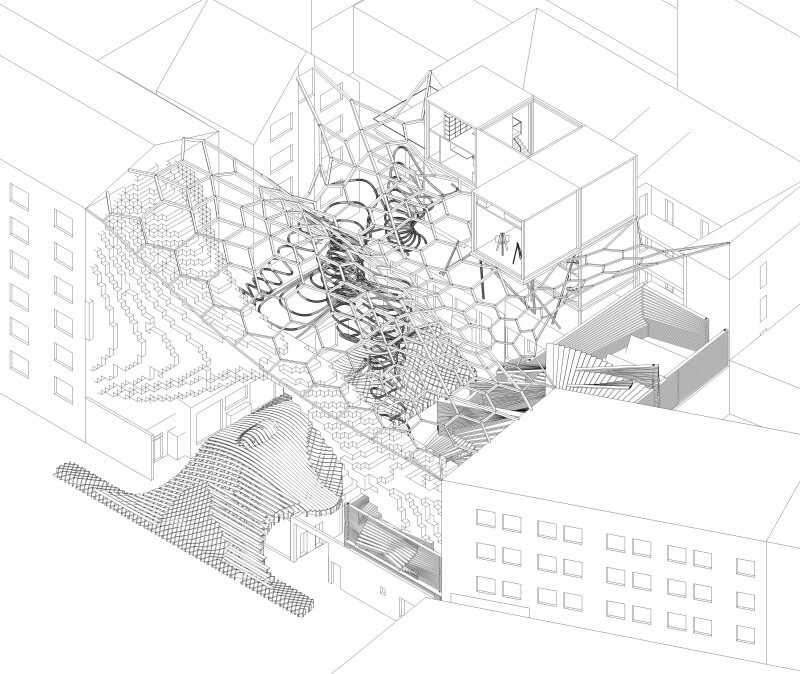 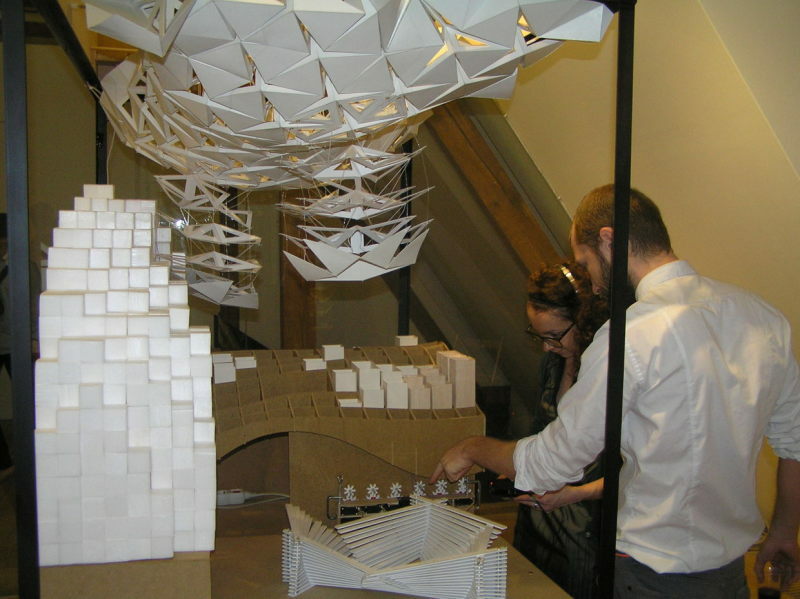 Project follows the example of MoMa PS1 temporary summer pavilions. 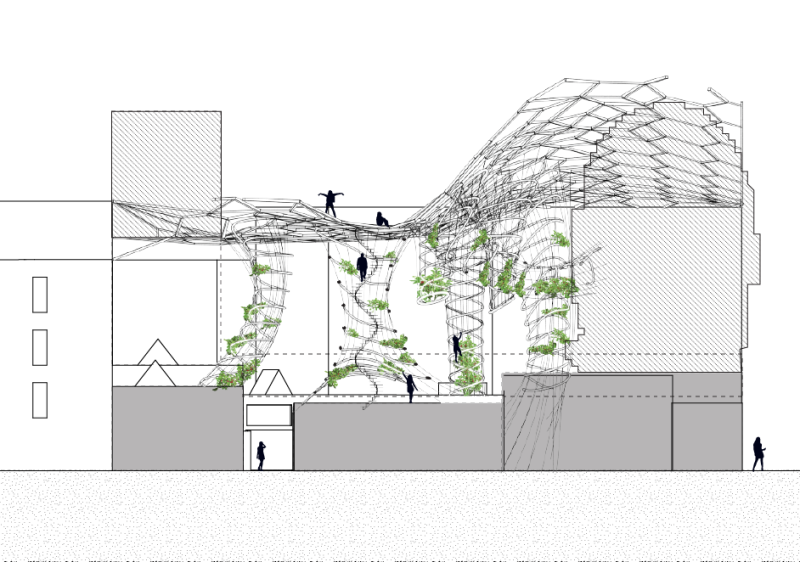 The aim is to use the advantage of this site and create environment which can be use as meeting point for art students and cultural hub of all neighborhood. 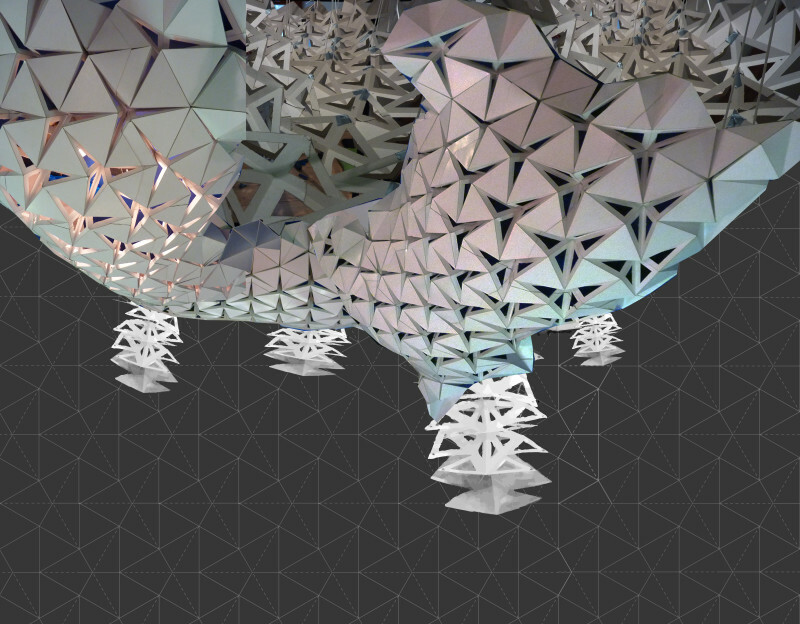 Geometry of the mesh is optimized by dynamic relaxation. 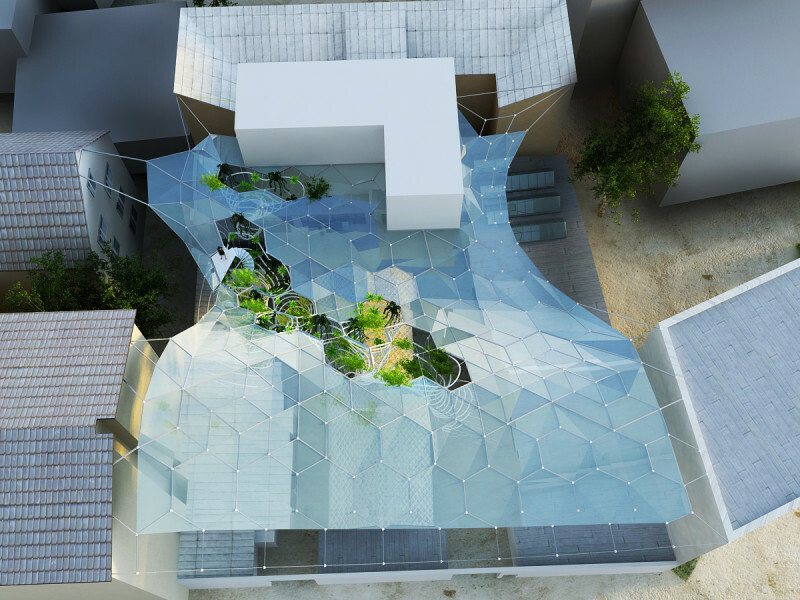 Upper surface will be able to harvest solar energy and rain water and distribute it to the other parts of the complex. 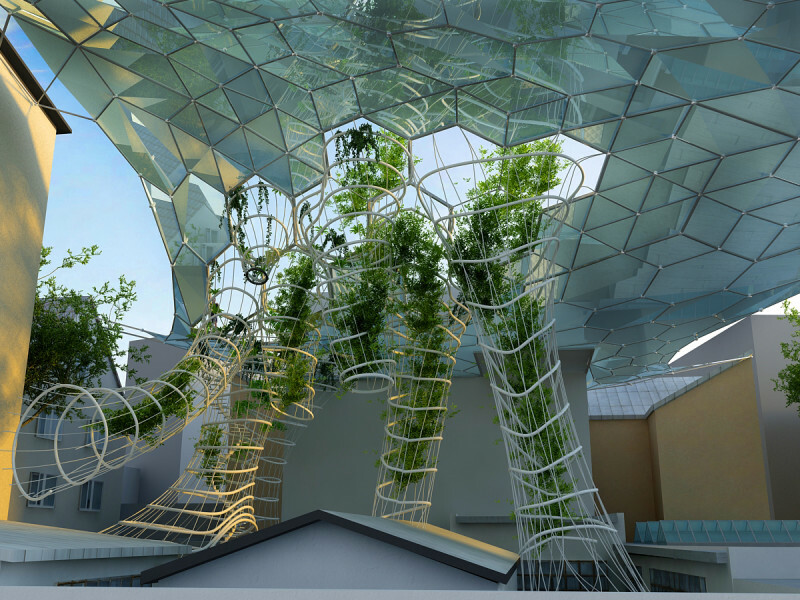 Tubes hanging as spirals inside of trunks can serve as hydrophonic gardens. 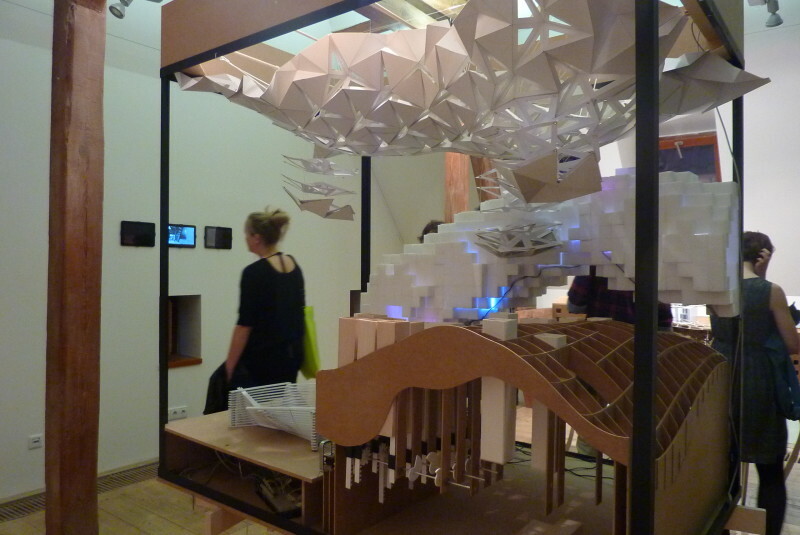 Interactive behavior is evolved for the proposed spaces, taking in various environmental changes and responding with modified geometries or atmospheres. 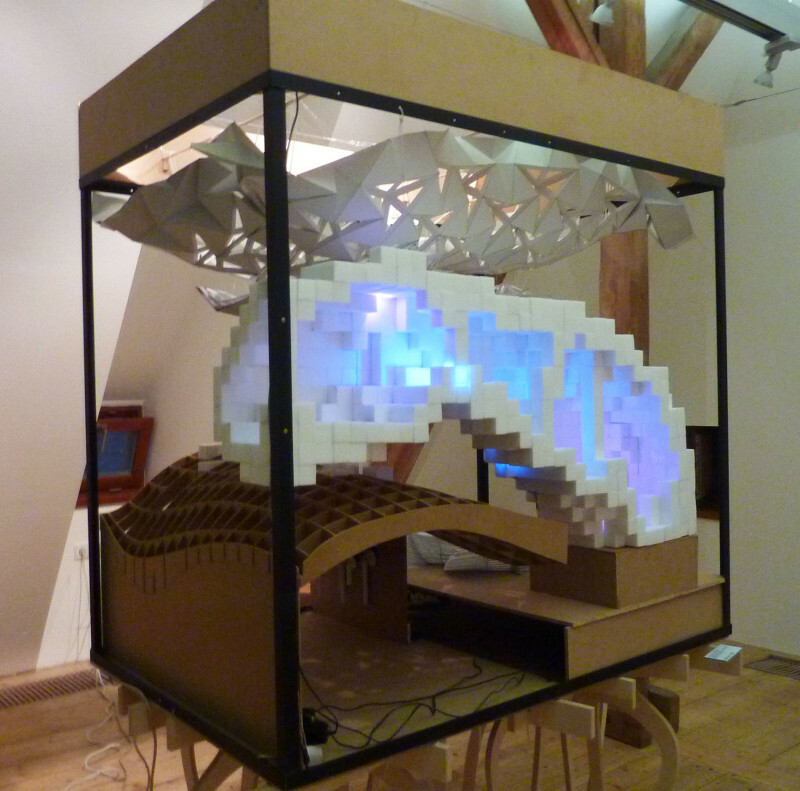 The various parts create a network where each fragment continues to adjust its behavior to data sent from the others.